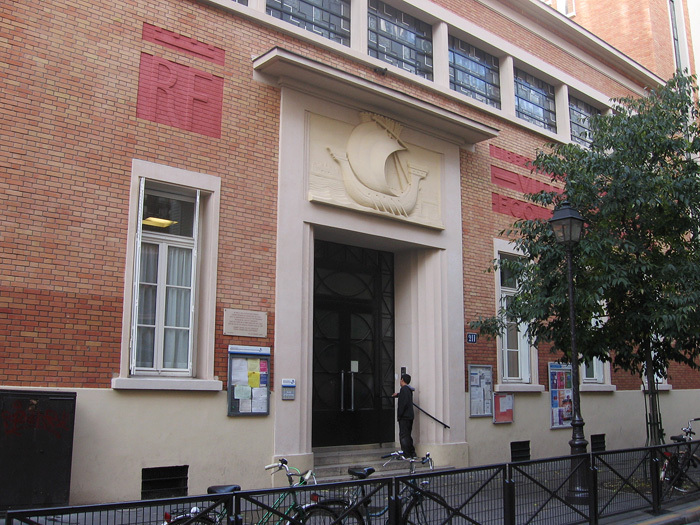 Did you know the symbol of Paris is a boat? Weird, huh? 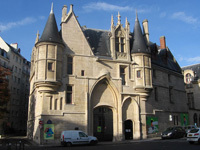 The explanation I've read in a million places and heard from a million people is almost too simple to be true: they say the Île de la Cité, which is the center of Paris and where the city was founded, is generally boat-shaped, and it's sitting on the Seine, so, boom, the boat is the symbol of Paris. Good enough for me! 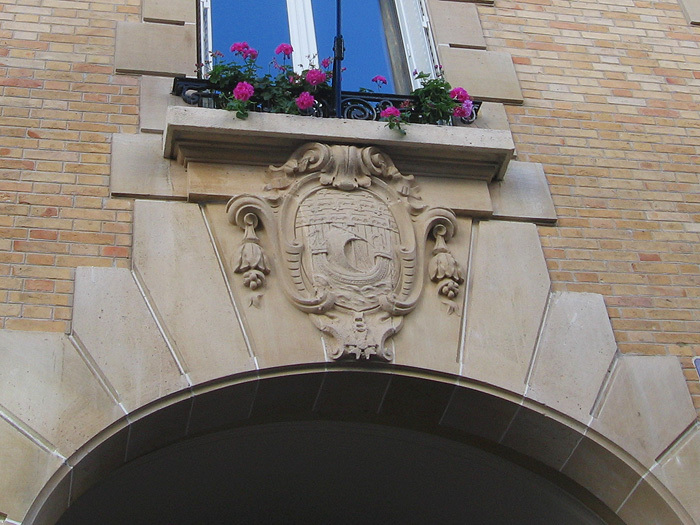 This boat symbol mixed with some other imagery makes up the coat of arms of Paris, which is on buildings all over town. 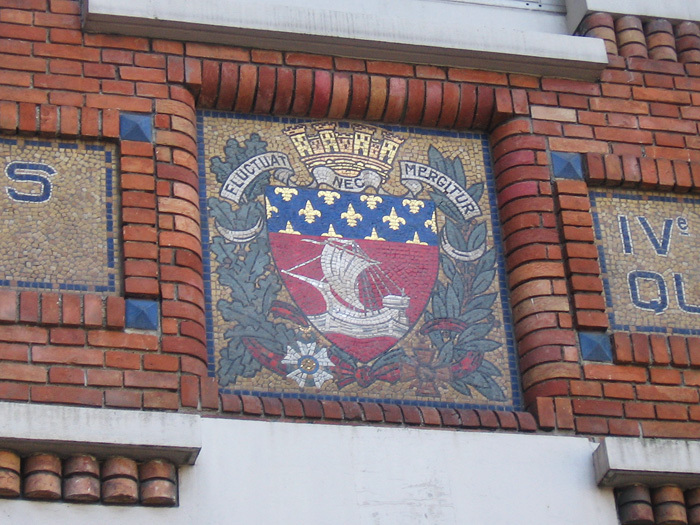 Once you know about the boat symbol and the coat of arms you'll suddenly start noticing them all over Paris on all kinds of things; on administrative buildings, police stations, schools, all sorts of various signs, mosaics, etc; sometimes even on the sidewalk. Keep an eye out for it while you're wandering around! Look up from time to time and you're bound to see a bunch of 'em. 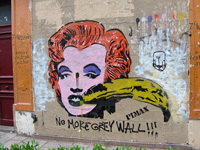 This one is on a public bathhouse near the Pompidou Center. 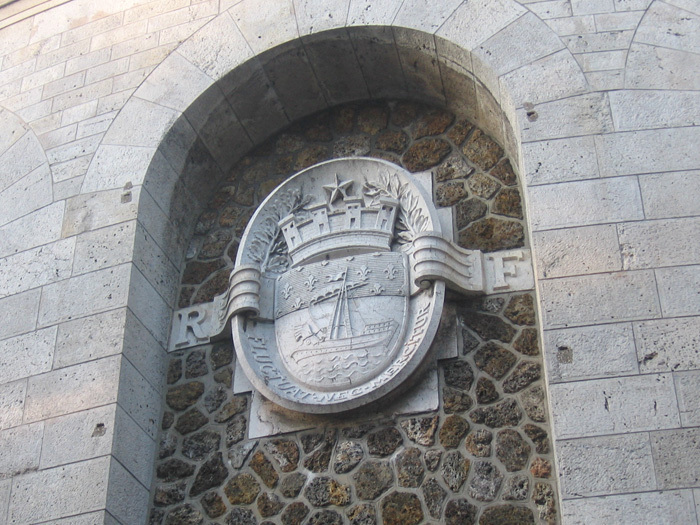 Incidentally, the motto of the city of Paris which you'll see on a lot of these boat symbols is "Fluctuat Nec Mergitur," which in Latin more or less means "tossed upon the waves but doesn't sink." 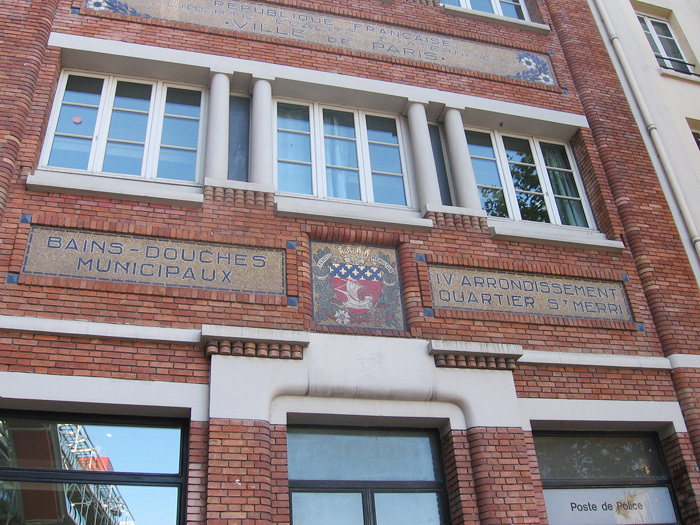 Here's one on a preschool in the Les Halles area. 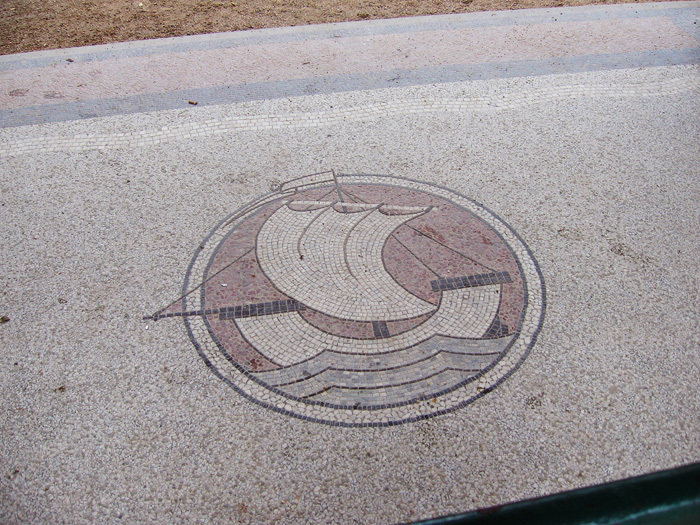 Here's one that's embedded in the sidewalk just outside Place Suzanne Buisson, a small park I've mentioned a few times on this site for its neat statue of Saint Denis and his chopped-off head. 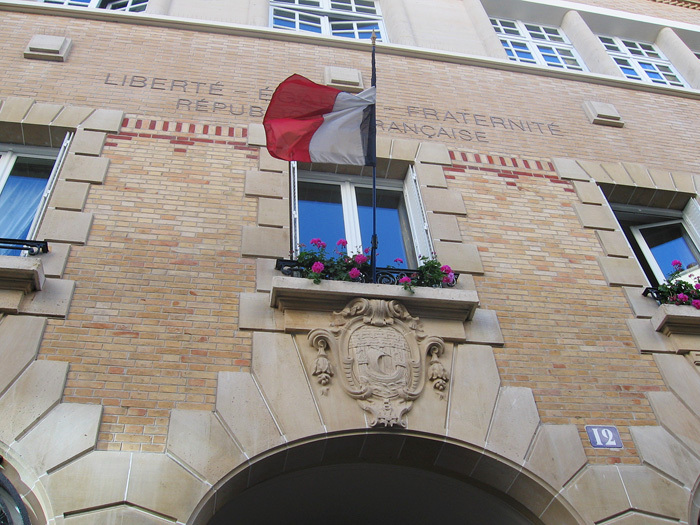 This one's on a school on Rue Saint Martin. 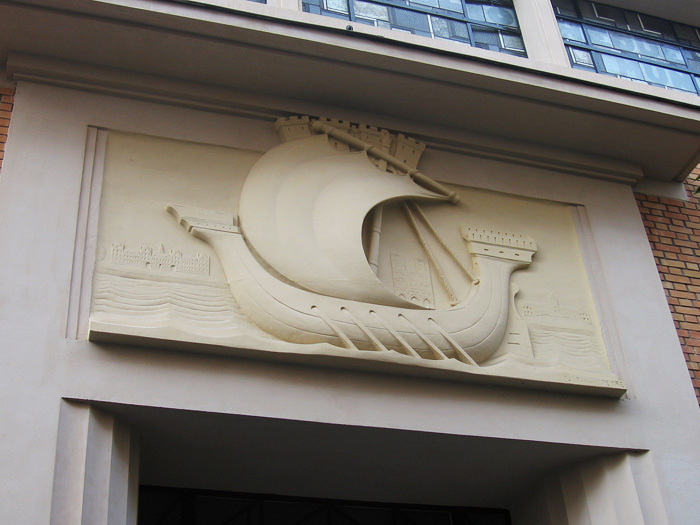 There's often a building or group of buildings depicted above the boat, I reckon this represents the medieval city of Paris sitting on the "boat" of the Île de la Cité. 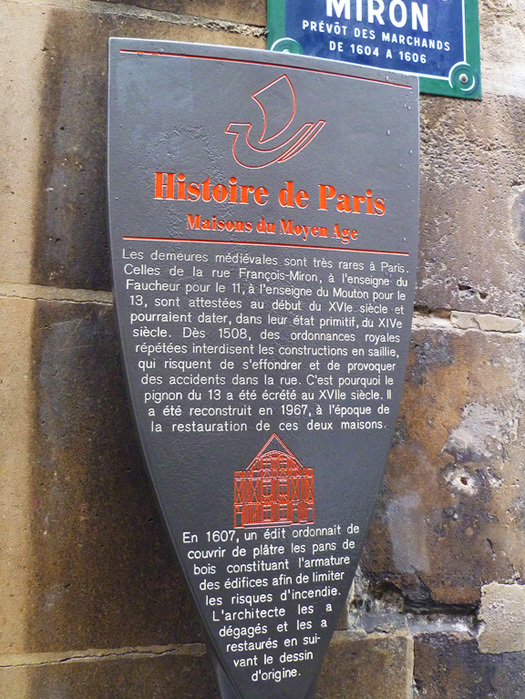 There's a very simplified/stylized version of the boat at the top of all of those "Histoire de Paris" signs you see all over the place. All of this is really just the tip of the iceberg; you'll be amazed at how often you see the boat symbol once you know it exists after (probably) not noticing it at all when you didn't. 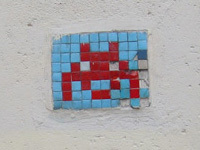 Of course, while you're wandering and looking up at buildings, keep an eye out for space invader mosaics as well!